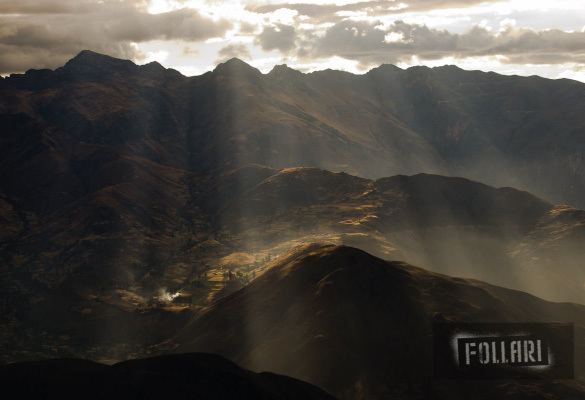 LaN fee listed is INCLUSIVE of: inner-Peru travels including airport pick-up / accommodations / breakfasts in Lima & Huaraz b&b’s / all meals during 4 days of camping by a local cook / park passes / rented camping equipment … and of course en-route sessions. International participants please arrive by evening of September 16th. Experience limited to first 10 registrants; secure your place with your first $195 payment. ‘Remote sensing’ typically means the ability to collect data from a distance; in Peru it takes on double meaning as we will be privileged to dually explore the limitations and tolerances of terrain data acquired online (while in Huaraz) in juxtaposition to the opportunities our on-site sensing will allow via physical contact to our amazingly remote basecamp. The other duality of this 9 day exploration comes with the interest not only in the digital < > physical feedback of terrain features but perhaps more importantly the self monitoring on our adaptive beings as we arrive from multiple locales to acclimate together for 2 days in Huaraz (10,000′) before proceeding to an altitude of 15,500′ from where we will continue to track our body responses. Why is LaN pursuing body data tracking and becoming insistent on its relevance to advancing architectural design strategies? Body data tracking may reveal the extent to which our group perceives environmental forces differently despite our similarities in internal make-up. Ultimately we are attempting to highlight the use of software and sensing devices to further enable our extraordinary sensoring abilities. With our unique remoteness, we will be challenged to devise ways of meet our tracking ambitions with our varying communication & power access. This should provide an amazingly strategic test for us. 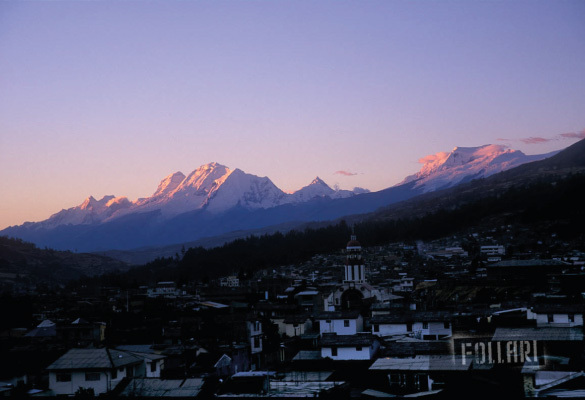 Sessions in Huaraz intend to utilize some video conferencing with FABLAB Colombia (subject to our internet capacity). 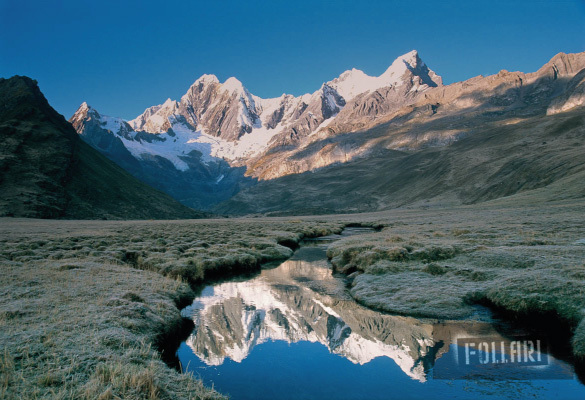 The Cordillera Blanca is an Andean mountain range in the Ancash Region of Peru about 8 hours (175km) by bus from Lima. There are 16 peaks over 6000m (20,000ft), and another 17 over 5000m, the highest concentration of such high-altitiude peaks in the tropics in the world. Huascarán, the highest mountain in Peru and clearly visible from Huaraz (3000m), stands at 6,768 metres (22,205 ft) and is the third highest peak in the Western Hemisphere. 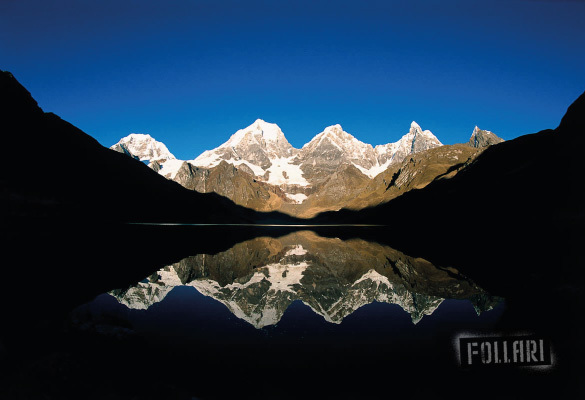 It is surrounded by other dramatic peaks over 6000m and few other places in the world offer such close and comfortable access to such a concentration of high and wild peaks as the town of Huaraz, where fine foods, microbrewed beer and comfortable beds make acclimatization easy and fun. From here, treks, camps and climbs can be reached in a matter of a few days; similar access in the Himalaya might require several weeks. 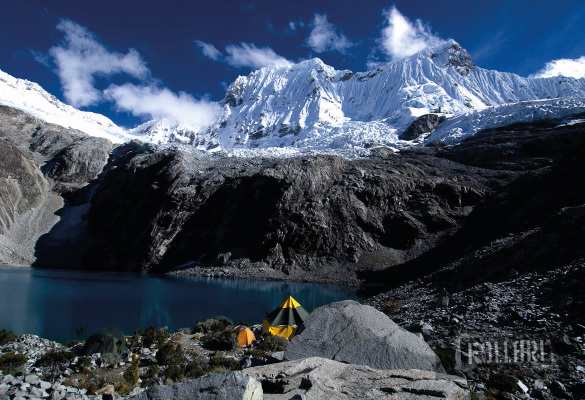 The intended journey will take us to a seldom-visited gorgeous camp below lake Yuracocha, at the foot of the 3 peaks of the Santa Cruz cirque. 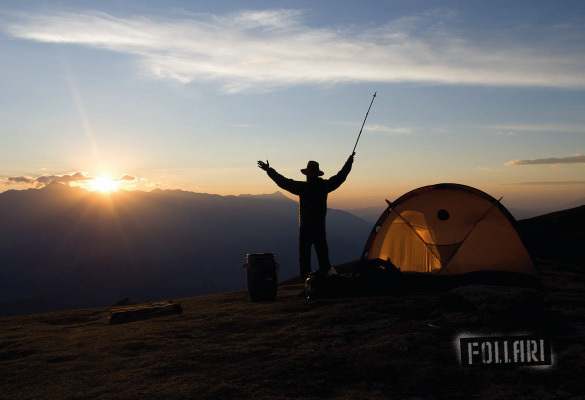 Open to the West, with views out to the Cordillera Negra, this valley affords outstanding evening and nighttime photo opportunities of the faces and ridges of Santa Cruz Grande (6241m), Central and Norte, trout fishing, and incredible granite bouldering. 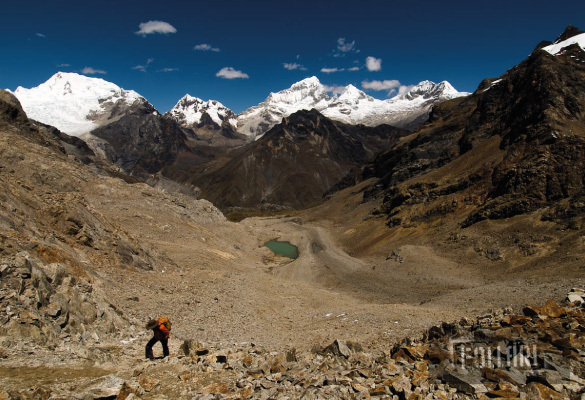 A two-day trek from the small town of Hualcayan will put us at this scenic basecamp at 4750m from where we can explore the surrounding terrain, ecosystem, and test various remote tracking technologies. We will be joined by a professional camp chef, and burros (pack donkeys) will take the majority of the loads in for us. A horse can be made available for anyone concerned about the difficulty of the trek. Monika currently explores the collaborative potential of digital design + fabrication practices as Director of LaN (live architecture network). Monika directs international LaN workshops in collaboration with local fabrication resources as well as current concentrated efforts in Rome in collaboration with Solido 360 prototyping. Monika formerly served as visiting faculty for Montana State University & IN/ARCH – Istituto Nazionale di Architettura (Rome). She holds a postgraduate degree in ‘Digital Architecture Production’ from IaaC (Institute for advanced architecture of Catalonia, Barcelona) and has studied at AA (Architectural Association, London) & The University of Colorado. Monika credits her early architectural experience with the practices Office for Metropolitan Architecture (OMA now REX), Research + Design (ReD) and collaborative experience with Vicente Guallart Architects. To-date: LaN has conducted workshops in 18 countries since late 2007. 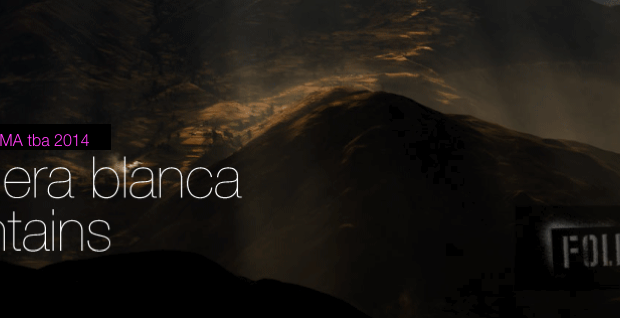 Current Status: off-line @ Peru for 5 week team expedition – THE INCAN ODYSSEY hopes to discover and climb some of the untapped wealth of bouldering in the Blanca. 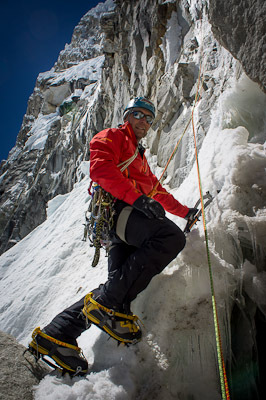 They’ll also attempt more traditional ice/mixed/snow climbs up to 6000+ meters. The only part of this trip considered possibly dangerous is the high altitude; participants are not expected to encounter any dangerous (steep) terrain, wildlife, snow fields (avalanche danger) or other typical mountaineering concerns. Please note this is a trek and will not consist of any ‘climbing’ portions. 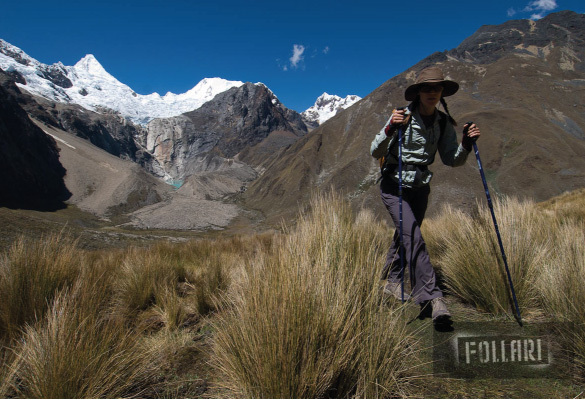 You will be led by a professional alpinist with significant experience in the Cordillera Blanca range. You will only be expected to carry a daypack; donkeys will aid us with the rest. We will give consideration to bringing a horse to ensure a safe passing should anyone become altitude sick. We ask participants to evaluate their fitness capacity and commit to a routine that will prepare oneself to hike 4 to 6 hours. We have factored in acclimatizing days that will accommodate even international participants not living at any significant altitude presently. 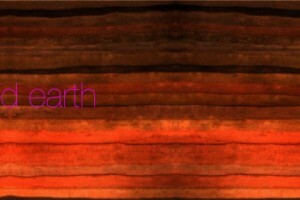 Feel free to direct any questions to us on your preparations. Once registered you will receive a reference pack list from Mick. 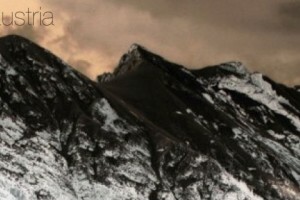 Participants are encouraged to register with their local ALPINE CLUB as an extra measure of safety; registration provides emergency assistance. Lima Airport: LIM Jorge Chávez International Airport is located 11km/7mi from the center of LIMA. If you are staying in the group accommodations as listed, we are advised it only takes 10 minutes to reach. The airbnb accommodation offers airport pickups for $20. Depending on your arrival time we may be able to set up a group pickup. TORONTO via Air Canada; MADRID via Air Europa + Iberia; MEXICO CITY via Aeroméxico; PARIS via Air France; AMSTERDAM via KLM; HOUSTON & NEWARK via United; FORT LAUDERDALE via Spirit; SAN SALVADOR via Taca & many LAN AIRLINES cities. technical clothing— clothing that will help you face varying weather optimally from heat of high altitude sun–to strong winds–to possible rain to less likely frosty early mornings.